Jaguar Colorado Springs in Colorado Springs, Colorado currently has this gorgeous Approved Certified PreOwned 2016 Jaguar XF Premium AWD for sale! This vibrant red four-door sedan has less than 7,000 miles and is priced to sell quickly at less than $49,000! Equipped with a 3.0L V6 24V Supercharged engine and an 8-speed automatic transmission gives you a fantastic fuel economy. Expect an estimated 20 MPG city/28 MPG highway. You won’t be disappointed with the great variety of features on this Jaguar XF! Some of these features include a cold weather package, vision package, InTouch navigation system, heated front windshield, and many more. Because this is backed by Jaguar’s Approved Certified Preowned program, you have the assurance of a 6-yr/100,000-mile limited warranty plus a 165-point inspection, 24/7 roadside assistance, trip-interruption services, rental car benefits, and a vehicle history report. 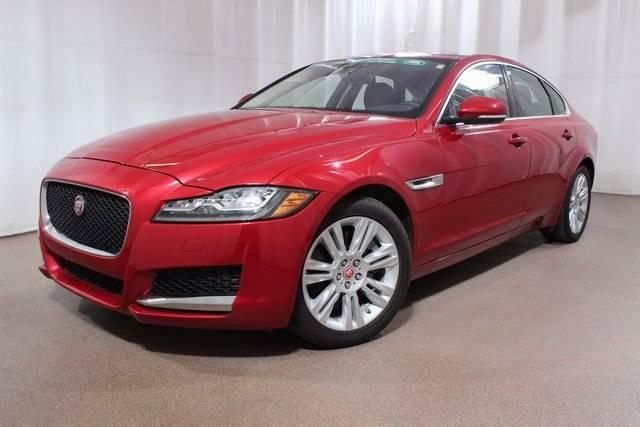 Stop into Jaguar Colorado Springs today to learn more about this luxury sedan. Let us introduce you to the many features of the 2016 Jaguar XF. Take a test drive to experience the power of Jaguar for yourself!